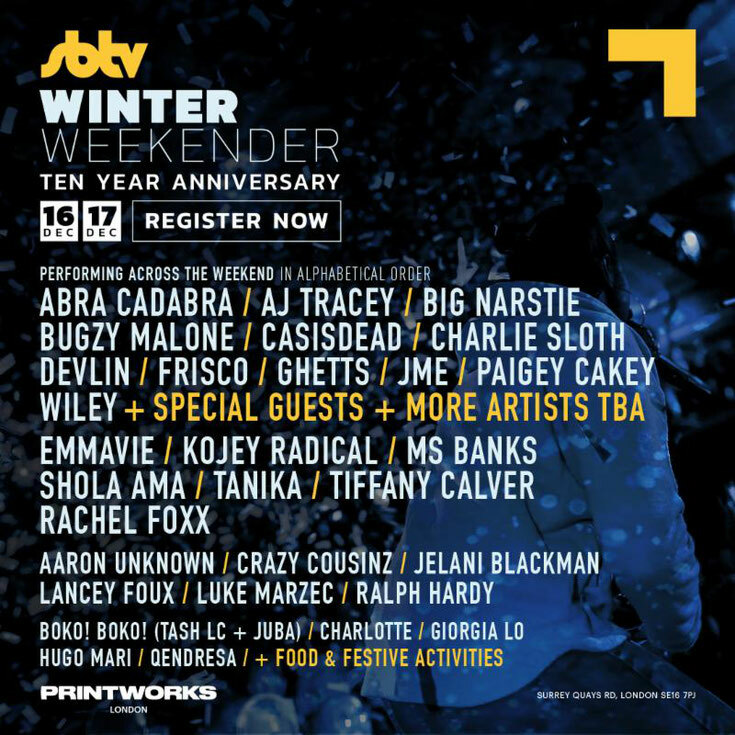 SBTV recently announced a weekender to celebrate their 10th anniversary, brining two days of music and entertainment to Printworks London on 16th and 17th December 2017. Performances will come from SBTV friends and family with the likes of Wiley, JME, Ghetts, Big Narstie, AJ Tracey, Shola Ama, Paigey Cakey and much more all making appearances. From grime to hip-hop and acoustic, SBTV aims to provide a platform to nurture unsung talent, and has apparently helped the careers of international superstars like Ed Sheeran and Skepta. 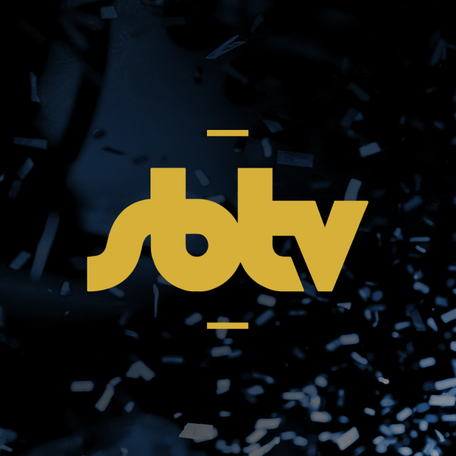 Their Printworks London weekend takeover will explore the past, present and future of SBTV. Described as "blade runner on acid", the venue’s sound system and lighting makes it a great spot to celebrate 10 years. As well as the music a selection of food traders, cocktails and a plethora of entertainment will be on offer. The two-day event will showcase some of the most exciting and influential names from across the board. Following the release of his 11th studio album earlier this year, Wiley, the ‘Godfather of Grime’ will lead proceedings. Joining him will be Brixton based grime artist Big Narstie, co-founder of crew and label Boy Better Know JME, plus Devlin, apparently one of the few original grime MCs to have been there through the genre's progression. Amid the well established acts, SBTV will also showcase an array of rising artists across the weekend, including young London MC AJ Tracey, MOBO award winner Abra Cadabra, Manchester born wordsmith Bugzy Malone, rap artist and poet Kojey Radical, rapper Ghetts and Ms Banks. Other artists set to take to the Canada Water venue include; Shola Ama, Paigey Cakey, Aaron Unknown, Crazy Cousinz, Frisco, plus many more. There will also be some very special secret guest appearances from some of SBTV's closest cohorts.